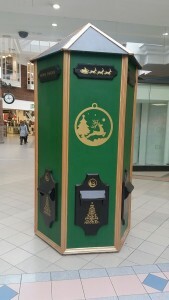 We are delighted to have the Winterval Post Box here until 23rd December. 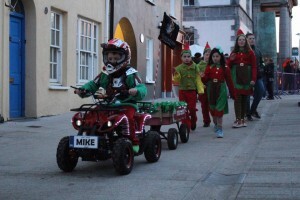 Every Saturday and Sunday at 4.15pm a number of Santa’s most trusted elves will arrive on specially commissioned quad bike to collect the letters and bring them to the main Winterval Christmas letter collection point in the Apple Market. No stamps are required for posting letters to the North Pole. Just note Santa is extremely busy at this time and will not have a chance to write back to all children.